Topanga Canyon was ground zero for hippies in the 1960s, and it never quite shed the mantle. Back then, the Manson family was camped out in their psychedelic bus down at the Rodeo Grounds, Neil Young was couch surfing and Gram Parsons and Bernie Leadon twanged out new songs while Jim Morrison “let it roll, baby, roll” up at The Corral roadhouse (yes, that roadhouse). There are a few of the original hippies here. But they’re not smiling — they’re angry hippies. There’s still war, life didn’t just take care of itself like they thought it would, the rich got richer and the world moved on without them. My kids are terrified of hippies. My son Flynn will crouch down in the back seat of the car with one of his friends when we’re driving somewhere, holding imaginary guns and scanning the road behind us. “Hippies!” he’ll say, ducking down and firing over the headrest. I imagine in his mind he sees some sort of unkempt cross between Wavy Gravy and a ninja. Now this is all quite humorous, you may be saying to yourself, but how is it relevant to a food blog? Well it is relevant, because if you’ve got a hippy problem, you’ve got a food problem. It’s mostly problematic to me when I’m considering enhancing the dining options in the canyon by opening a restaurant here. Take the example of a recent vacancy. An old joint in the north canyon was available — when I was a kid it was a biker bar called The Bent Oak, and had also been a pizza place among other things. My friend Seamus told me about it and said we should look into it for a restaurant. Yes, I thought, it might make a nice tavern — fancy burgers, bone marrow, IPAs on tap, you know the kinda place. But we never checked it out. I haven’t summonsed the courage to go inside. But I heard they sell wheat grass juice. Wheat grass juice. The juice of grass. I mowed a lot of lawns in my day, and never thought of juicing. In addition to Topanga Fresh, the other dining options in town include: Inn of the Seventh Ray, a creekside fantasy popular with weddings and kids on prom night, famous for mediocre shakra-conscious food but now boasting a bandwagon-hopping chef failing to put the place on the culinary map through a ham-handed, late-to-the-game use of sous vide, ash, gels and foams; Mimosa Café, serving nothing even resembling a mimosa; and Abuelita’s, the worst Mexican restaurant in a city where it’s nearly impossible to screw up Mexican food. When I contemplate opening a restaurant here, I wonder if I would have to serve quinoa and expeller-pressed-oil butter substitutes? The town is growing ever more affluent and sophisticated, and is adjacent to the restaurant dead zone that is Malibu — it seems the perfect locale for an upscale, wine country-style restaurant. But when I let my imagination put forth my ultimate dream — converting the old Fernwood Market into something new: the Fernwood Pacific Market Café & Grill, with wine & tapas bar and small open-kitchen/patio restaurant in the back serving an exquisite chef’s tasting menu — I wonder if the town’s Old Guard would rise up and drive me away for displacing the old hippies who like to sit on a bench in front of the store. Friends and strangers alike encourage me in my dream. “Oh!” they exclaim, “Pleassse do that!! We need it!! !” and “You’ll need a shovel for all the money you’ll bring in.” But no decision in life is easy. Each is filled with perils and unforeseen consequences. All the more so when hippies are involved. Great post Sean. And YES, Topanga needs you!! 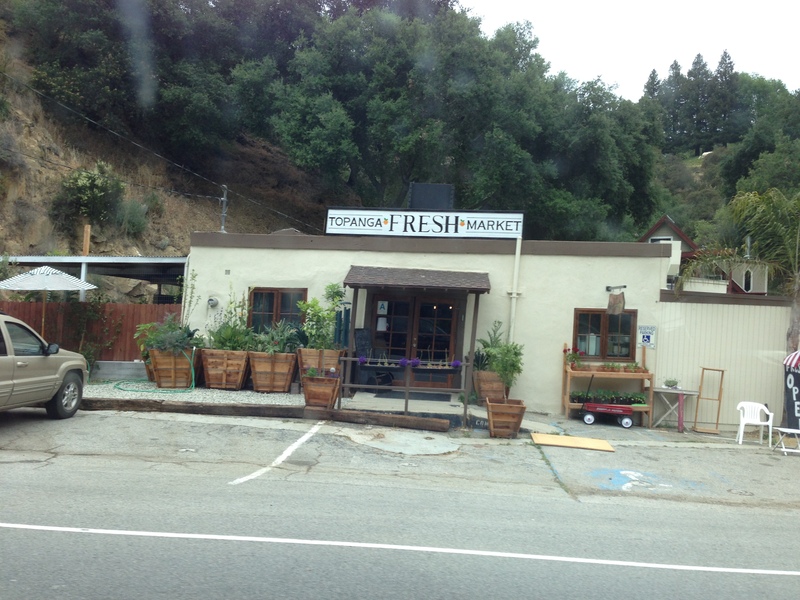 Isabel & I stopped into “Topanga Fresh” one day before the finished signs & wheatgrass was entirely evident. They were selling avocados & honey sticks then. We walked in to find a line for the juice cleanses and a load of hippies dancing around a juke box. It was absolutely hysterical! 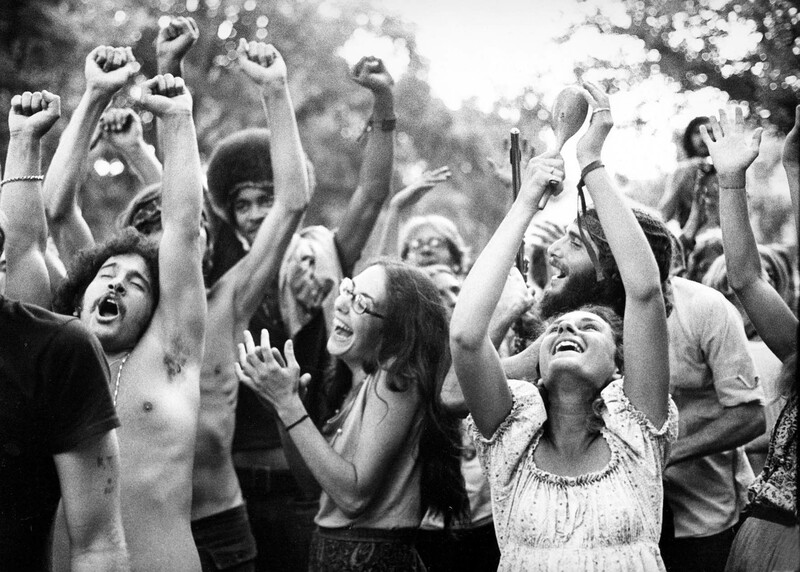 I can’t quite imagine what it’s like right now… since it’s become a hippie haven. Dare I poke my head in? So interesting. I too remember that time well, Laura insisting I see a band at Crazy Horse in Malibu which is now an omelet parlor or something. I fell in love at first note with that band and have never fallen out. Restaurants are tricky. I think the big winners have marketing teams who do all the research on who your audience is etc. A startling example is a restaurant which opened next door to our impending tasting room. A chef with credentials and clearly a lot of money. Everyone was excited about it. But as the word of mouth reviews started coming in there were 8 ‘awfuls’, 1 pretty bad and 1 so/so, I can’t imagine he will make it through the winter. High prices, very small plates, Morton type pricing on side veggies, potatoes etc. A local said, ‘an Italian restaurant with small portions? What’s that about? The point is why didn’t he do his homework. Go to Underwood, 3 miles away and see what works. What band did you fall in love with? I can’t believe that you left out Rocco’s, home of the worlds most expensive pizza, from your culinary review. If they can charge $27 for a pizza, then think how much you could charge for your tasting menu. Plus you could probably charge at least $10 extra for the tasting menu WITH quinoa. I was wondering myself if she was dost protesting too much — quite funny, Leo. She’s a closet hippy! Hilarious. What a great post. What a out Rocco’s and canyon grill? Hopefully u will serve them up in a future post. Abuelitas does have pretty good margaritas. At least they are strong. And their molé is solid. Damn hippies. The minute I hit the “post” button, we left for Rocco’s. LOL Sure, it’s overpriced and not that great. But it’s sort of an institution, so I’m kind of fond of it. And you’re right about Abuelita’s margies — pretty decent, I’ll give them that. OK – you need to Willa that not only is my eye upside down, but I was a bra-less, pot-smoking hippie, living in a converted tool shed on Grandview in the early 70’s. And yes, we do need an original culinary destination in Topanga. You see, some might might say I’ve become bourgeois for wanting a good food and wine destination locally, but then I was a hippie in the 70’s and spent 2 yrs. traveling in a Volkswagen camper across Europe and North Africa tasting and sipping a whole ‘nother world. Good food opens your eyes, even if one of them is upside down. Please carry on with your dream of opening an option to “the Bistro”. You’re the real upside-down-eyed deal! Ditto, what a great post! Topanga seems somewhat stuck up in its own “hippiness” which often sounds and looks very nouveau riche and as much as I want to support a restaurant such as the one you would create, I am not sure the “earthy” holier than thou crowd would follow with your wonderful ingredients, you might have to rely on the Valleyites or even the Palisades crowd…Love your oh so accurate and sad description of all the restaurants. These days marketing and hype seem more important than the food being served. Don’t open a restaurant as a professional. It will take the joy out of your home cooking. I know you worked in restaurants for a long time, and I did too, 15 years. I’ve had a million people ask me to open a restaurant. Most chefs I know go home and eat corn flakes. Just my thoughts on your temptation. You, if anybody my friend, would be the anomaly! I’ll put money on it! I’m no more of a closeted hippie than you are Sean & watch out because it’s fair to say that Topanga changes you! I have a friend/jeweler in the Palisades whose mom moved to Topanga years ago. She says her mom used to shop at Saks Fifth Avenue but now her mom keeps goats and she worries that she’s is smoking too much weed! Maybe there’s an upside to getting out before we all become goat herders. Although, I fear I’ll be creating my own blog about an Angeleno trapped behind the horrors of the Orange Curtain! Is there a study out on how much is too much? Does she share with the goats? I know they are feeding hogs in Washington state with seeds & stems now . . . we’ll see the upshot of that in time with high end pork futures . . .
I’ll have to get back to you on that pal-O. I have seen handmade signs for “hire a herd” brush clearance in Topanga so I wonder if the goats are high if they get the munchies and therefore eat the brush faster?? Anything to make a goat work harder & Topanga prettier I say! Funny April! Another subject for Sean’s blog! You know I’m with you if you ever want to do the Fernwood Market scheme! We ate at Inn of the 7th Ray only once since we moved here. Rocco’s was a staple of our son’s gradeschool days, but instead of hippies it was creek rats. The site of Topanga Fresh was a poorly-reputed pizza joint when we moved here – we never went there. We want to support the Bistro, but ahh, it’s so boring! The Canyon does need a good place! A friend got mad at me for slamming Topanga Fresh before I’d ever been in there. “They have great pita sandwiches,” she said. I retorted that all I had said was that I heard they served wheat grass juice. “They do,” she said. My point exactly! Disappointing when you think they could’ve been serving beer and marrow bone. DO IT!!!! You wouldn’t be limited to the locals….it would be the cool destination for all the angelinos wanted to go to the new hip little joint up in the canyons. It would feel like a little weekend get away without having to really leave the city. Everyone can hike the bone marrow off or chill on the patio drinking microbrews in the sunset. Over on the east side rock & roll canyon that would be Laurel Canyon, I adore our Pace, even the coffee bar outside the Canyon Country Store, and the store itself that has a tiny deli offering up three-combo salad plates of greek, broccoli and marinated peppers, and imported English teas. This little complex in the middle of the canyon is, at times, a life saver for those of us who reside here. Not too far south from the Fernwood Market existed a place that was truly a hippie paradise. The spot was and still is marked by two sets of twin telephone poles along Topanga Cyn. In the early 70’s people would hitchhike up the canyon and ask the driver to stop when they saw the twin telephone poles. There was a rope tied to a guardrail at the roadside, they’d hold the rope and descend the canyon wall down to the beautiful clear water creek below. It was steep, and when you made it down and looked back up you were a world away. Some days there would be a hundred people at the bottom enjoying themselves skinny dipping in the large swimming hole, playing acoustic guitars and singing songs, there were lovely paintings (not graffiti) on the many rocks and boulders that lined the creek bed, everybody was stoned, it was beautiful down there. The name of this place was Twin Poles. That’s a great story, John — thanks for sharing! Now I’ll be on the lookout for the Twin Poles.